Thinking of joining the next #RallyWithKevin 5K? We asked a couple of pros on how to do this short race the right way. 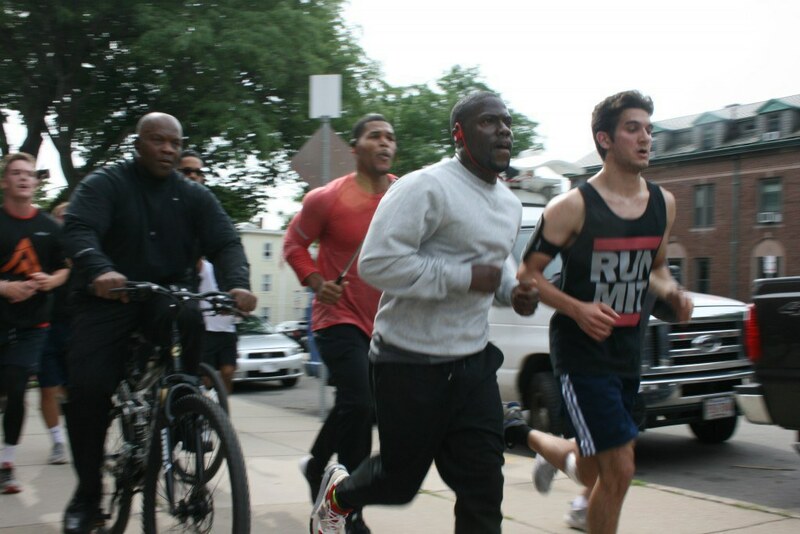 Megan Armstrong works at Rally as a talent recruiter, so of course she turned out for Kevin Hart's recent impromptu 5K run in Boston — and she finished in first place. Armstrong took up running in college, after tendinitis kept her from dancing. She recently qualified for the Boston Marathon. If you aren’t used to distance running, Hammer says you’ll need to train for 8 to 12 weeks. While 5K is a short distance (about 3 miles) that most healthy people can walk without a lot of training, it’s always a good idea to get your body conditioned so you can avoid injury. Run or not? 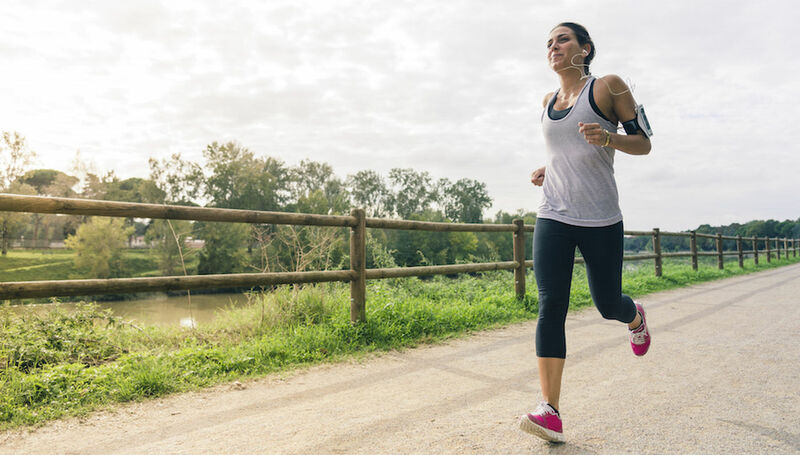 You can skip your regular run the day before a race, says Hammer, or you can go for a short, easy run — runners call it a “shakeout run.” There’s no rule about running before race day. Get your Z's! Armstrong likes to lay her gear out the night before and get as much sleep as possible. She aims for 8 hours. Breakfast. Go for something with simple carbs, “almost sugary,” says Hammer. Try to keep it small, and eat 1-2 hours before your run. Armstrong’s favorite is almond butter and banana toast, but find what works for you! Water. Even on a supported run that has water stations, it’s a good idea to drink up at least an hour before you set out. Armstrong tries to drink 14 to 20 ounces of water about 2 hours before the run to leave enough time for a bathroom break before the race starts. Warm up. Get your blood flowing with a good warm-up routine just before start time. Hammer recommends 5 to 15 minutes of walking or easy jogging to open up the lungs and get your muscles ready to go. Start slow. At the beginning, go slower than the pace you think you can maintain, says Armstrong, and Hammer agrees. “Reassess every half mile or so,” Hammer says. “You don't want to burn out before the first mile marker,” says Armstrong. If you’re doing fine, you can pick up the pace a little. Hydrate as needed. If it’s very hot or you’re going at a slower pace (and taking longer to finish), you should hit the water station. This goes for walkers, too. Just don’t drink too much, as it can cause side stitches. Finish strong. You’ll want to push during the last mile, says Hammer, especially if you’re trying to make a certain time or record. More water. If it’s hot and you’ve been sweating, Hammer advises an 8- to 12-ounce sports drink, and follow it with plenty of water throughout the rest of the day. Otherwise, plain water is fine at the finish. Celebrate! Treat yourself with a yummy snack like juicy fruit (good electrolytes), peanut butter pretzels (mmm, salt), or a cookie (sugary deliciousness). Armstrong makes brunch plans after every race and saves room for dessert. How will you celebrate?